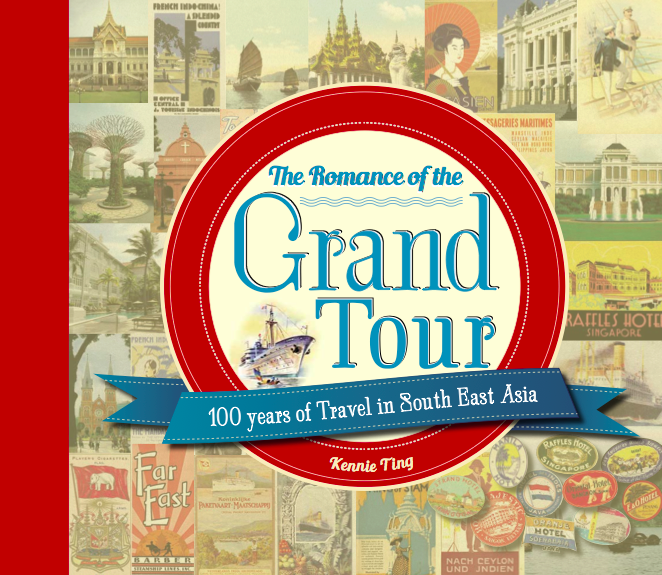 The Romance of the Grand Tour – 100 Years of Travel in Southeast Asia is my newly published coffee table book celebrating the Grand Tour of Southeast Asia in the 1920s. Retracing the journey of those grand tourists of the ‘20s, the book takes today’s traveller through 12 fabled port cities in what was then known as the East Indies. Setting sail from Rangoon (Yangon), we visit Penang, Malacca, Singapore, Batavia (Jakarta), Surabaya, Bangkok, Saigon (Ho Chi Minh City), Phnom Penh, Hanoi and Manila before disembarking at Hong Kong harbour. In each city, we also stop at the city’s grand colonial hotel – the Raffles Hotel in Singapore, the Peninsula Hotel in Hong Kong, the Eastern & Oriental Hotel in Penang and the Hotel Metropole in Hanoi, to name a few. Welcome on board ship at http://www.romanceofthegrandtour.com… and to a year of history, nostalgic and excitement!